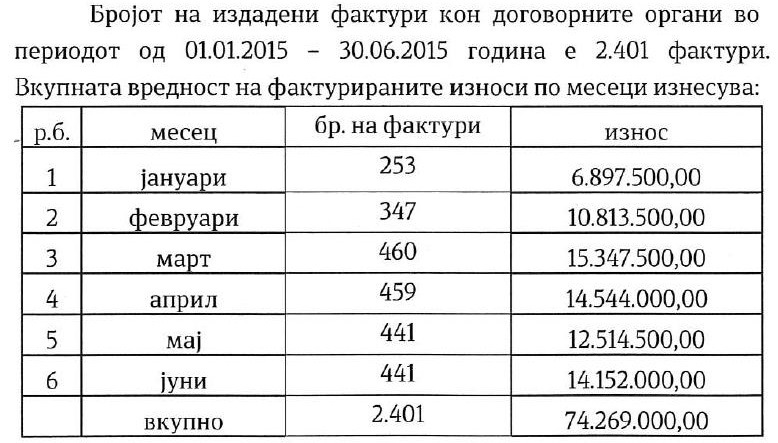 Members of the Public Procurement Council (Ivica Kostojchinoski, Zlatko Arsov, Zoran Trajanovski, Suad Zejnulovikj and Borce Hristov) have higher salaries even than the President of the country, the Head of the Assembly and the Prime Minister of the Republic of Macedonia. This is data collected by the Center for Investigative Journalism SCOOP Macedonia, using the Law on free access to public information. The lowest salary in this body was paid to Ivica Kostojchinoski in September 2014 of 97, 090 denars, while the highest to Zoran Trajanovski in June 2015 of 114,337 denars. Besides salaries, members of the Public Procurement Council are entitled to 1.860 denars for phone and 1,500 denars for restaurant services. In addition, the state pays Ivica Kostojchinoski a rent and utilities for an apartment in Skopje in the amount of 250 Euros per month. 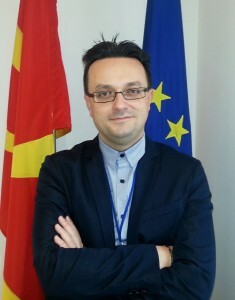 Aleksandar Argirovski, director of the Public Procurement Bureau, explained how the salaries of members of the Public Procurement Council are set. “The salary of the members of the Public Procurement Council is set under the Decision on determining coefficients for calculating the salaries of officials appointed by the Government. The Decision adopted by the Government is published in the Official Gazette of RM with all amendments”, said Argirovski. He adds that the PPB does not decide on the salary of these officials. President of the Republic of Macedonia, Gjorge Ivanov, as the highest hierarchical function, has a salary of 76,786 denars. Interestingly, the President of the Assembly, President Gjorge Ivanov and Prime Minister Nikola Gruevski, together have 75 years of service, while the 5-member Public Procurement Council have 85 years of service. 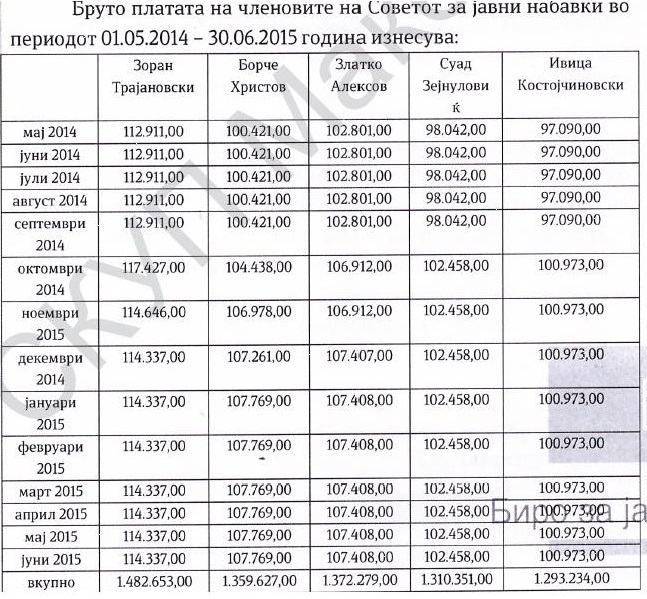 Ivanov, Veljanoski and Gruevski’s salaries are 290,000 denars total, while the salaries of members of the Public Procurement Council for June 2015 amounted twice more or 532,945 denars. The Public Procurement Council is a unique body in the implementation of public procurement procedures in the Balkans. It was established in 2014 and this year, instead being under the Public Procurement Bureau and the Ministry of Finance, the Government of RM will have direct authority over it. No other country in the Balkans and Europe has such a body. Jovan Mitrevski, MP from SDSM Struga, believes that this body does not prevent the crime made by public procurement. “It has been set up just to collect money and host party cadres in it, to take high salaries. It is a shame, a chairman and six members to have a budget of 500,000 Euros”, Mitrevski said. He added that the Council made it harder for contracting authorities on the procurement of low value. In the first 6 months the Public Procurement Council charged 1.2 million Euros. The Council issued 2401 invoices or an average of 500 Euros for each invoice. Millions are paid to the account of the Public Procurement Council. Any institution that wants to purchase a product must pay to the Public Procurement Council to approve the purchase. There are several situations that make procurement silly and not profitable. “We wanted to purchase two televisions for our institution. We addressed the Public Procurement Council for approval, we were returned 3 times and were sent an invoice for their services of 500 Euros and the procurement was to cost 550 Euros. 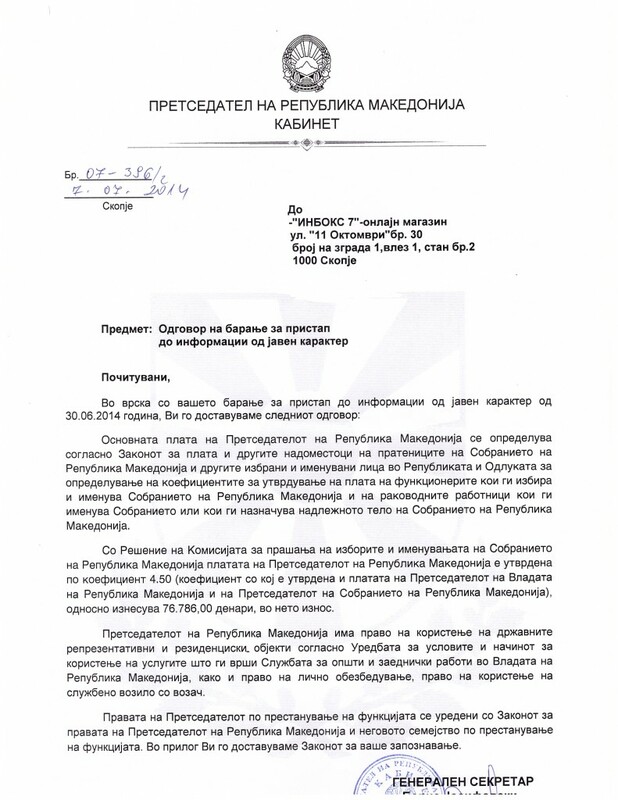 In the end we paid the invoice to the Council and we did not realize the public procurement because we had no money”, said an employee in a Skopje kindergarten. The example with schools in Struga is interesting, revealed by Mitrevski in the Parliament. “In Struga a school procures about 10 times (supply of stationery, paints and coatings, transportation, etc.) and for every procurement it must seek an approval from the Council because it puts a condition the economic operator to have a shop in Struga as the procurement is successive, a pen today, tomorrow two reams of paper, another day markers, etc., which means that it cannot be done by someone from Skopje, it is not profitable. In Struga there are many stationers that are eligible, but there are not three foreign ones. If there are not three foreign ones, an opinion of the Council is necessary. Ten opinions from the Council, one is ten thousand denars, it makes one hundred thousand. 15 schools in Struga, it is 1.500.000 denars, or 25,000 Euros. 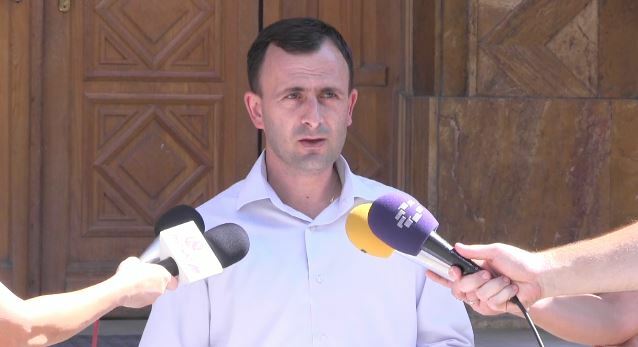 Schools in Struga have no money for electricity, half of them even today, three weeks after the beginning of the school year are cut off and have to pay 25,000 Euros to the Council”. While exploring the theme of the Public Procurement Council we faced many situations told by the employees in various institutions, who wanted to remain anonymous. A public company that purchased crushed stone for cleaning the snow was found in flabbergasted condition. “We submitted four requests to the Council for the purchase of crushed stone. Same size, same quality, same profile, everything same. Two passed from the first, one was amended twice and one three times”, says the head of the Department of Finance in this public company. Staff in the Department for Public Procurement in one municipality in Eastern Macedonia has a similar experience. “We were looking for computers and printers for the Department of Urbanism. Several times we were returned from the Public Procurement Council. This was one rationale why we had been returned. We had written that the printer should print 1,000 numbers per minute but should have written pieces instead of numbers”, said an employee of the municipality in Eastern Macedonia who wished to remain anonymous. He adds that he does not remember to have won a tender from the first time, but have been returned at least once more.